The contrast was striking. Last Friday evening, representatives of grassroots leagues from around the country were sending out missives in support of John Delaney. As they were being digested, supporters attending that evening's League of Ireland matches were chanting negatively about the ex-CEO and now executive vice-president. In the sold-out Dublin derby between Bohemians and St Patrick's Athletic, fans from both sides united in song to voice their disapproval with the FAI hierarchy. It highlights a disconnect between strands of Irish football. Delaney's first media appearance after a turbulent fortnight was on Tipp FM's Junior Football Podcast. In the post-interview studio discussion, the presenter only briefly touched on criticism of Delaney. 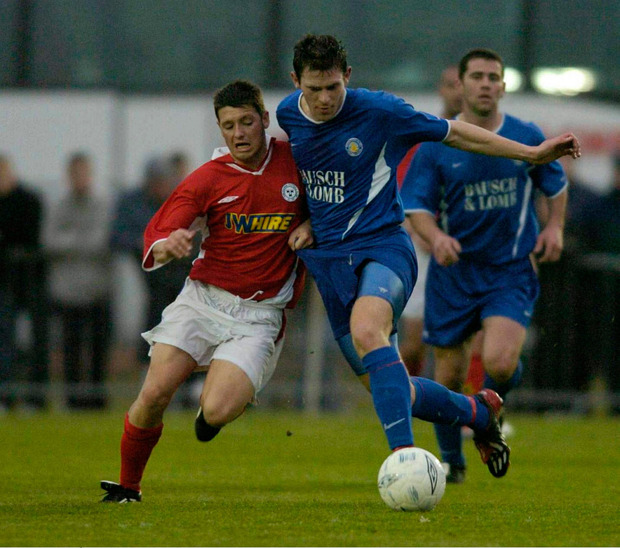 "The League of Ireland clubs... they can fight their own battles," was the throwaway line, as the man of the moment's appearance at a Division 3 cup final was hailed. The division lines are not exactly black and white. There are people in the League of Ireland who would be positive about the current regime. There are also individuals immersed in grassroots and amateur level who have been critical. What is undeniable, however, is that the league once described as a "difficult child" by Delaney has proved a constant source of bother across his 15 years. Chants about the FAI at SSE Airtricity League games are so par for the course that they're no longer a news story. 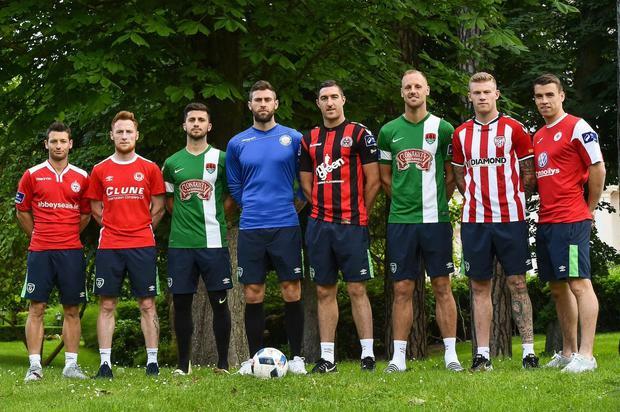 Clearly, there is some sympathy for the FAI, with Eamon Dunphy stating over the weekend that the League of Ireland is a "bad joke, and a delinquent. The clubs are all autonomous." Placing blame on the clubs for the current state of the game may have historical merit, but the FAI took control of the league after the 2006 season. But cuts in prize-money and queries around sponsorship arrangements have actually led to clubs coming together with a view to having a bigger say. Before the FAI's governance at board level became a national talking point, the most interesting Irish football development was Niall Quinn's plans to plot a new direction for the League of Ireland with the help of public and private funding. This has added another angle to a year where the FAI are supposed to hand control over the league over to a third-party company formed between Abbotstown and the clubs. It's all gone quiet on that front. It is true to say that the League of Ireland was allowed to be irrelevant during some great days for the Irish senior team. What is indisputable now is it can no longer be ignored. In truth, it's never been more important - although that point may be understandably hard to grasp in those areas of the country which don't have a senior club near them, a weakness that the domestic game will always struggle to overcome. That may always restrict the extent to which it can capture nationwide attention. Yet it doesn't make improving the product any less of a priority. Irish football used to be able to outsource the advanced stage of player development to England. The globalisation of the Premier League has made it even harder for our exports to break through. Therefore, Ireland needs professional structures at home to develop players in order to gain more control over the future. Keeping them at home for longer has benefits that go beyond football too, specifically in the area of education. This is where state spending should be encouraged. Recognising that importance is one thing, but trusting the league's ability to deliver upon it is another. Schoolboy clubs were aggrieved by the FAI's decision to introduce national underage leagues that have now essentially given responsibility for the development of elite teenagers to League of Ireland sides. They do not have an established track record in this regard, although the FAI's belief was that partnerships could be forged to deliver the best of both worlds. Yet the transition has been far from smooth and there are parts of the country where the schoolboy and senior clubs are feuding. There are financial reasons at play here, as the compensation for exporting players to the UK is essential for these nurseries to keep going. With better players joining LOI clubs earlier, the schoolboy sides are entitled to a smaller cut if a young lad does make the grade. These pitch battles are a product of a long-term dysfunction and getting bogged down in them distracts from the most significant question - are the best coaches actually getting to work with the best players? And in the best facilities? If this is being achieved, then the badge on the jacket shouldn't matter too much. There's a road to travel in this regard and the league is playing catch-up. Late-developing success stories - with Matt Doherty and Enda Stevens two more topical examples - highlight the importance of helping along an under-resourced entity. Stephen Kenny's promotion and the recent exploits of Tom Mohan's Irish U-19 side, with a manager and a coaching staff steeped in the league, and a healthy sprinkling of home-produced players, shows the potential that is there. Developing that further is essential. That is a battle that everyone within Irish football should be willing to fight.